The American Health Council is proud to select Tricia Carver, Nurse Supervisor at Nurse-Family Partnership, Eastern Band of Cherokee Indians, to their Nursing Board. With expertise in Child Health, Maternal Health, Healthcare, and Nursing, Carver brings to the healthcare industry 21 years of experience, including 4 in her current role. Ms. Carver graduated in 1996 with her BSN in Nursing from Western Carolina University, becoming involved in her current profession while studying health occupations in high school, where she was encouraged to pursue a career in Nursing. At Nurse-Family Partnership, Ms. Carver participates in day to day responsibilities, including the supervision of 3 nurse home visitors and carrying a caseload of clients. 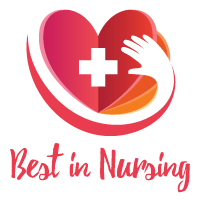 Carver is a member of numerous associations, including the American Association of Critical Care Nurses, and Sigma Theta Tau, the International Honor Society of Nursing. She is proud to have been the recipient of honors and awards, including the Andrea Cullpepper Award for Excellence in Nursing (1995). She is also an alumnus CCRN. Attributing her success to her faith, parental support, and her high school Health Occupation teacher, Ms. Carver hopes to grow within her company within the next 5 years. In addition, she is also striving to complete her MSN. A proud mother of 3, Carver enjoys spending time with her family and her pug in her spare time. The Nurse-Family Partnership is a non-profit organization which was established within the Eastern Band of Cherokee Indians. The goal of this organization is to serve more than 75 Cherokee Indian families in the community. They are committed to improving the lives of mothers who are pregnant by educating the families on how to have a healthy pregnancy. The Nurse-Family Partnership prides themselves in ensuring the health and development of the child by preparing the family to become more economically self-sufficient.